Lakeshore East is home to some of the most-desirable condo towers in the city, including 340 on the Park, Aqua and The Chandler. One of the reasons it's so popular is that there are restaurants, parks and stores all within easy walking distance of every tower. Lakeshore East has a truly secluded feel, and yet it's in the heart of the city. 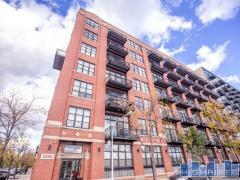 Contact us today at 773-365-9270 for more information about Lakeshore East condos for sale or if you see a condo you'd like to tour. Didn’t find what you were looking for? Contact us!